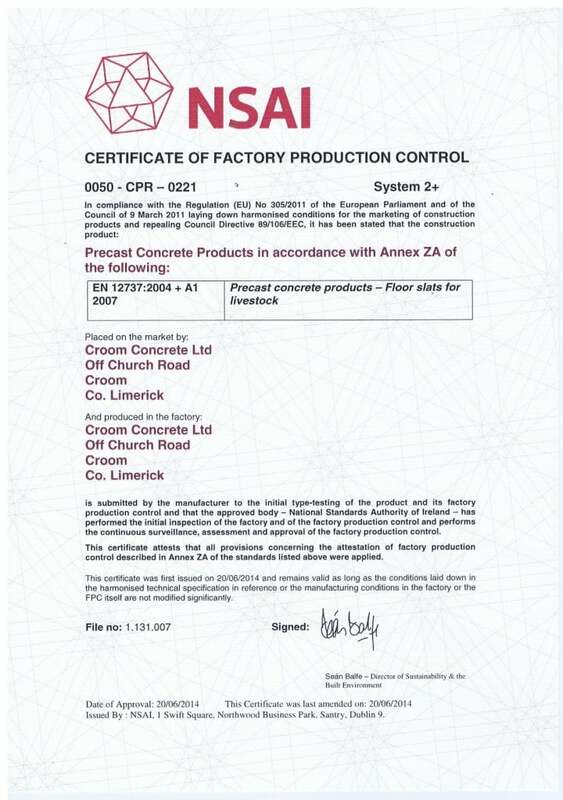 Croom Concrete has a wide range of precast products for housing livestock including cattle slats, cubicle beds, pillars, support beams and pre-stressed passage slabs. 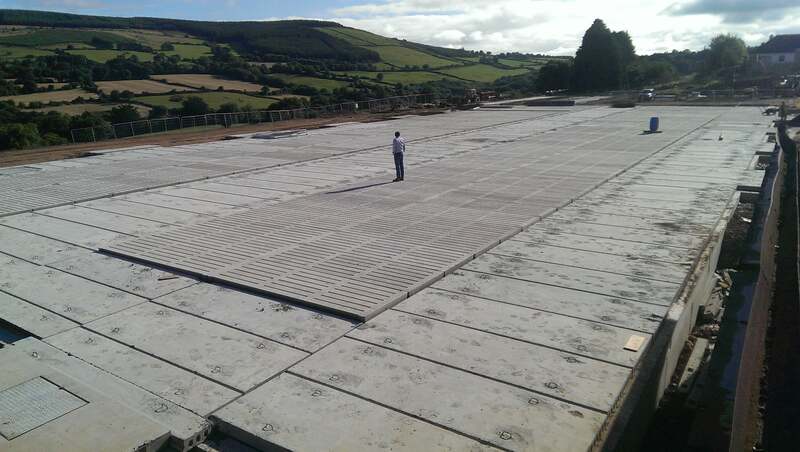 Croom Concrete have been producing cattle slats for the agri-construction sector for over 30 years. The slat sizes can be designed to suit individual shed requirements. 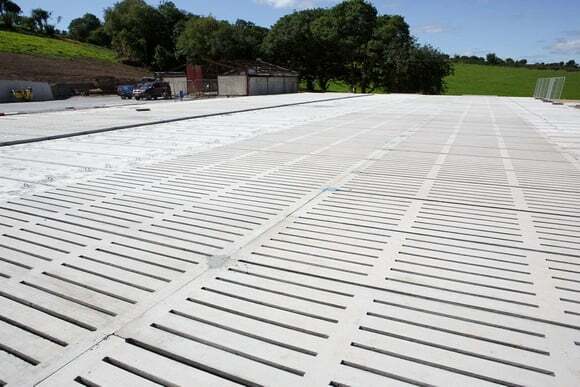 Our recommendation for dairy cow slats are for a grooved standing space of 160mm – 175mm (anything under 160mm is not comfortable for cow hoof comfort) and spacing between slots of 38-43mm for adequate cleanliness. 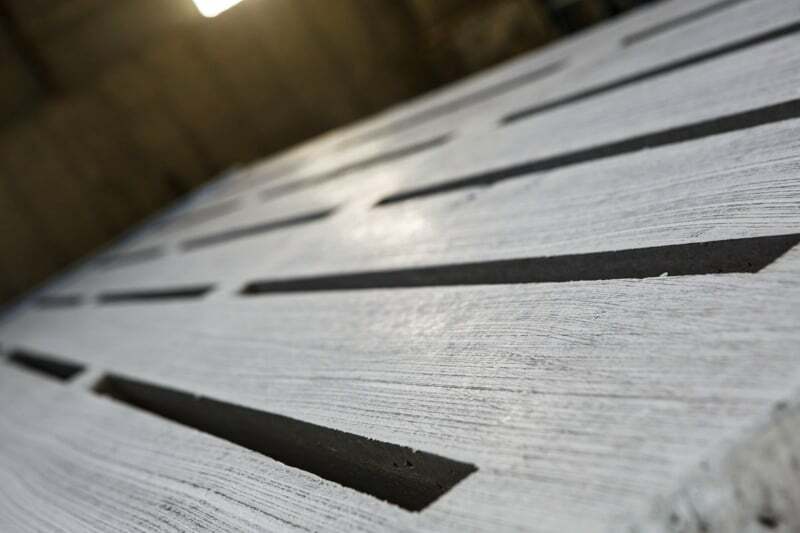 Also in the last year we have improved and updated our manufacturing facilities from a wet cast plant to a dry-cast production system having found from experience that the gripped finished on the wet cast slats tended to wear easily over short periods of time, leading farmers in having to groove slats, which in turn causing chipping to slats. Dry cast is proven to be far more durable in a highly corrosive environment like slurry storage helping to maintain grip. Also we have implemented the use of GGBS in to our mix designs which helps increase both the strength and longativity of the slat life span. 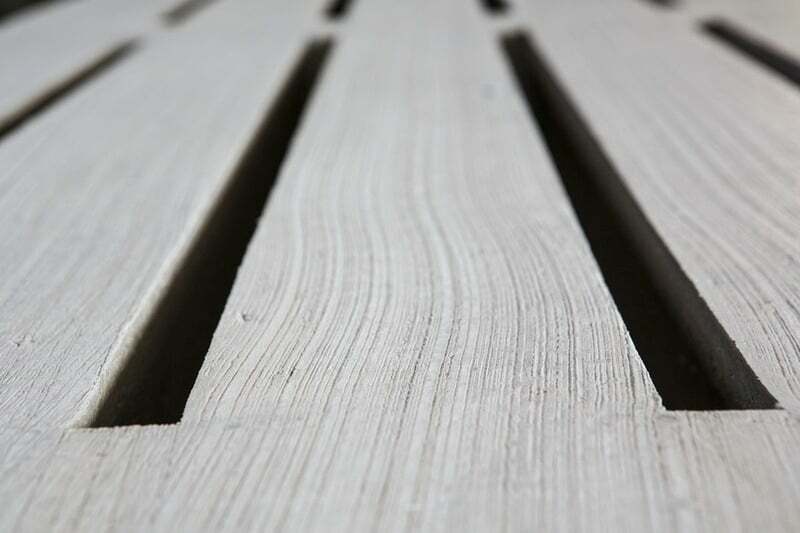 All slats are designed and built in accordance with all Irish, British and European standards and are CE certified. 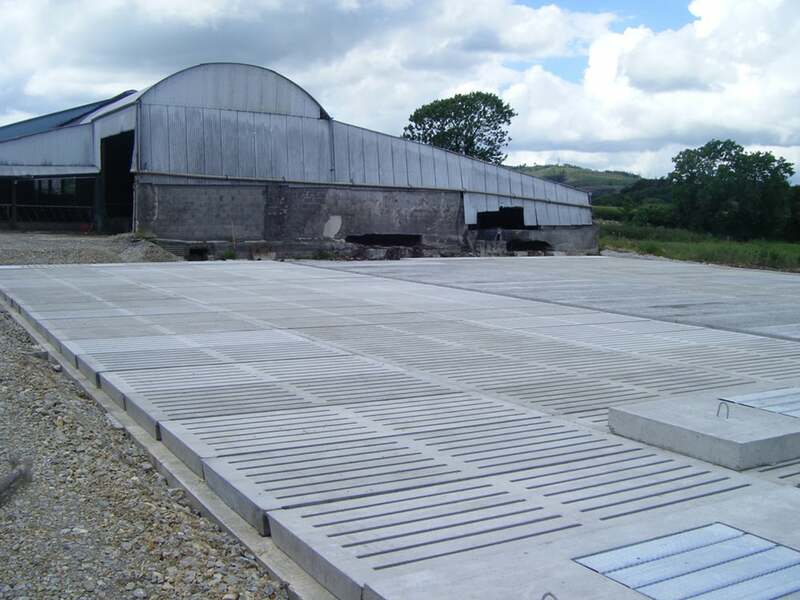 Our easy to install concrete cattle slats are ideal for use over slurry channels, underground tanks and as part of a suspended floor system. 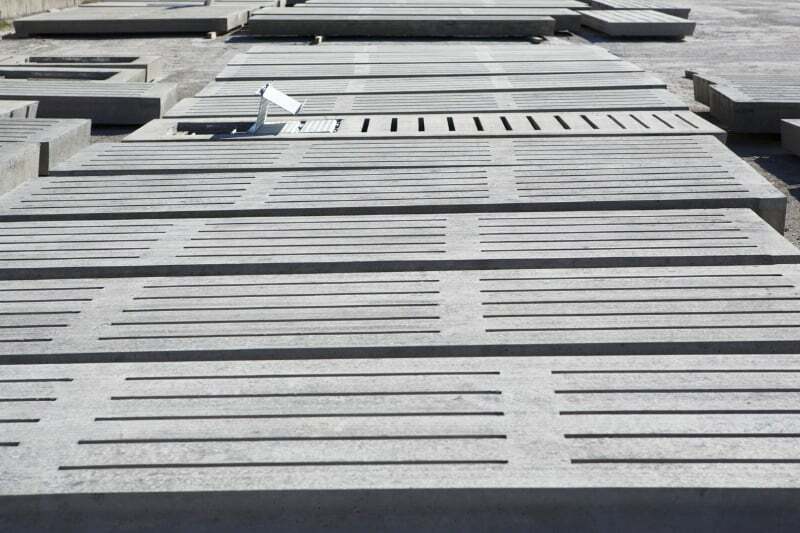 We manufacture our cattle slats with high strength 60kN dry-cast concrete for superior durability and to provide a level, non-slip surface. We employee a quality control technician to guarantee quality and strengths are maintained at all times. 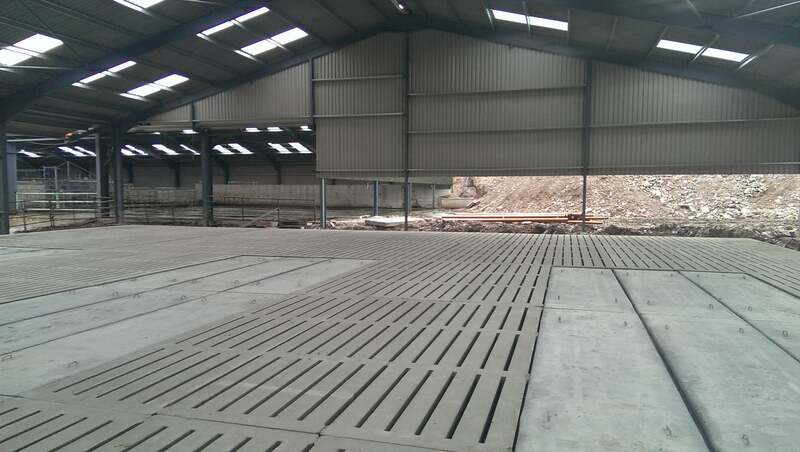 With the increase in the price of straw, suspended slat floors are a cheaper, long term option. Reduced bedding costs and in turn labour costs due to less time needed cleaning & changing bedding. As the slurry is dropped into the tank below, slurry can be easily collected into tankers. Animal welfare is better with reduction in slurry heel and other foot problems’.e. digital dermatitis (DD). 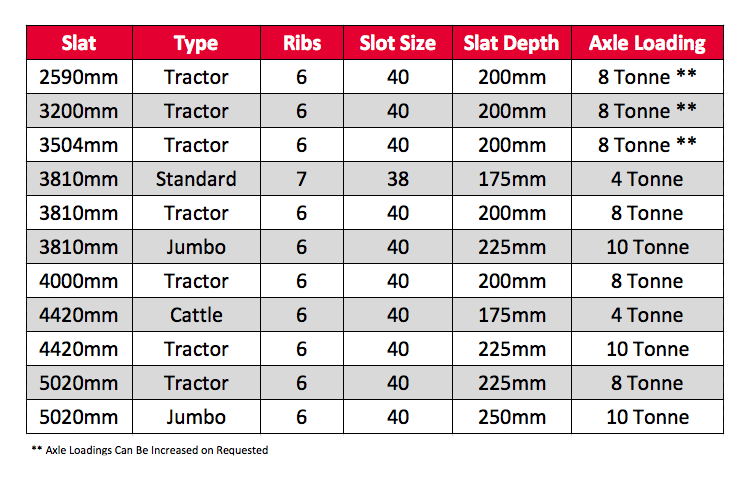 Overall increase in performance due to increased cow comfort. As slurry is collected in a contained tank the risk of leakage into water courses is minimised. Suspended Floor System up to 6 metres. 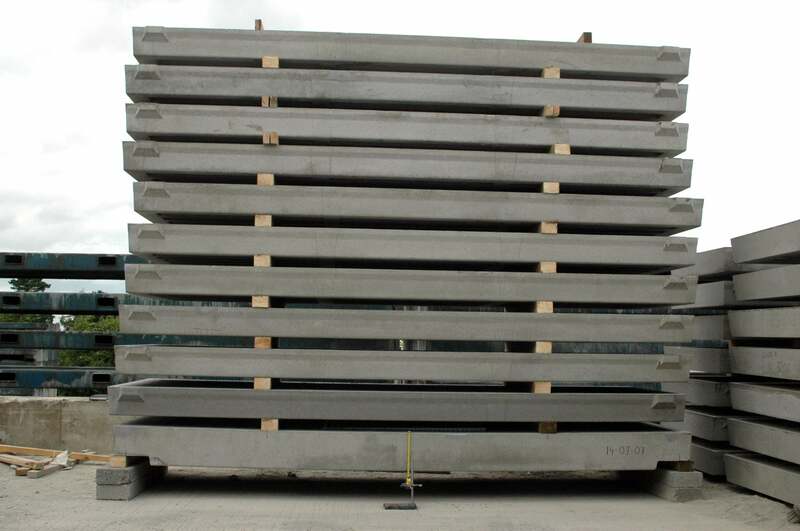 Agitating Units can be used in conjunction with our precast concrete cattle slats. 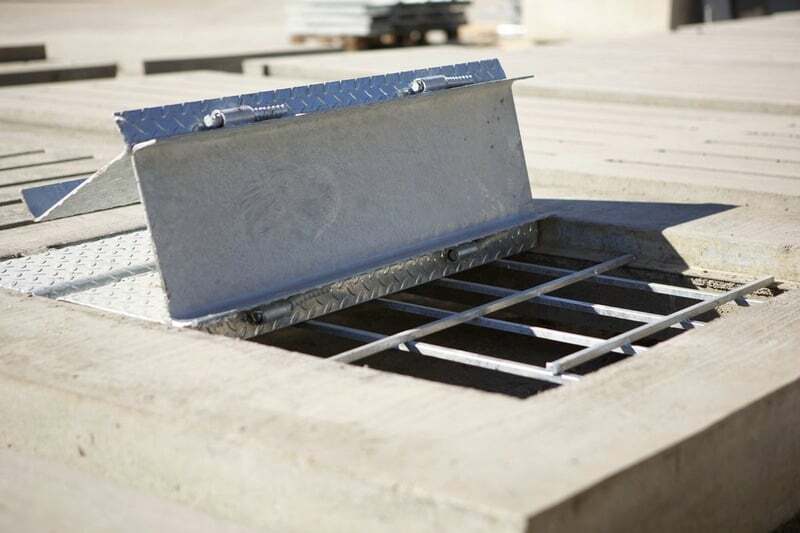 Each agitating unit compromises of a lockable galvanised unit which provides safe access to the slurry tank. The opening of the access point has been designed to accommodate all types of agitating equipment. 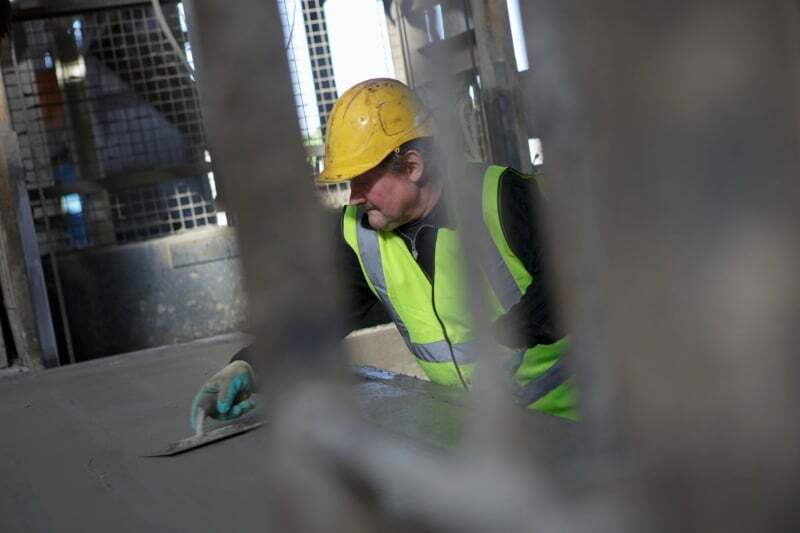 Croom Concrete also produces a complementary range of passage slabs. 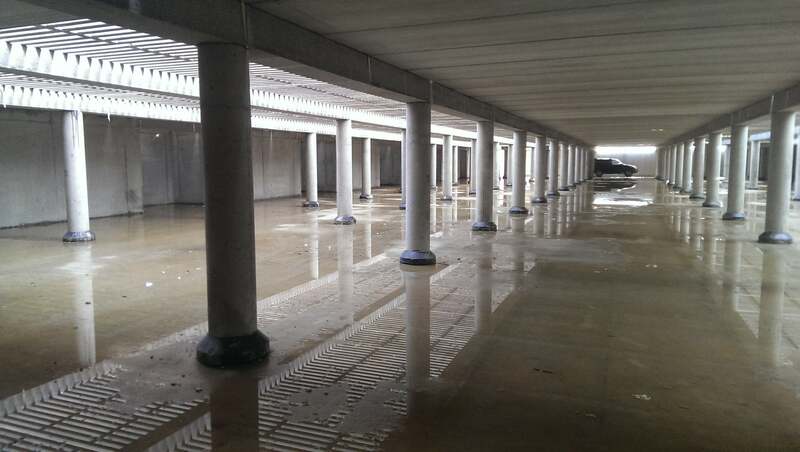 Note: Pre-stressed suspended passages usually require a structural screed. Please contact our in house design team for further information.